Lockheed Martin gave CNBC a first look at its new spacecraft prototype. "This is a single stage, completely reusable lander," said Lockheed Martin's Robert Chambers. 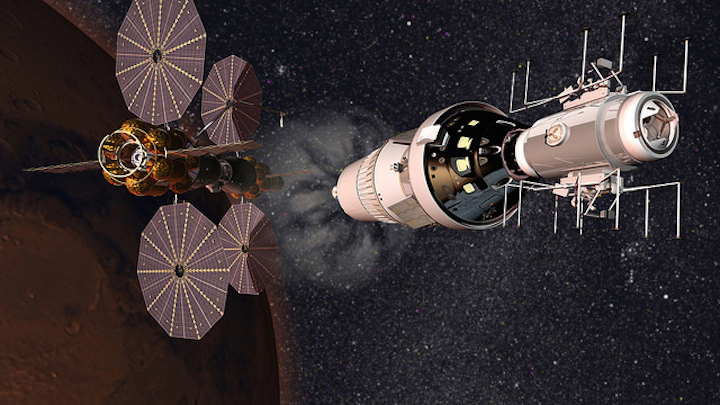 The concept is Lockheed Martin's vision for what may come after NASA's Deep Space Gateway mission to test habitable orbital environments. NASA's goal to reach Mars is just over a decade away, and Lockheed Martin revealed Thursday how humans might soon walk upon the red planet's surface. Lockheed Martin gave CNBC a first look at its new spacecraft prototype, which the company will unveil Thursday at this year's International Astronautical Congress in Adelaide, Australia. "This is a single-stage, completely reusable lander which will be able to both descend and ascend," said Lockheed Martin's Robert Chambers. Chambers is a senior systems engineer at the aerospace and defense giant, helping to lead the Mars Base Camp project. 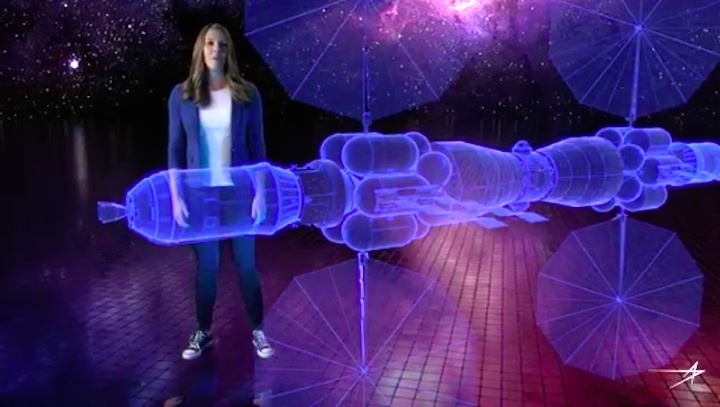 The concept is Lockheed Martin's vision for what may come after NASA's Deep Space Gateway mission, which will begin in the early 2020s. Starting with testing near the moon under the NextSTEP program, NASA aims to develop the infrastructure needed to send people to Mars. Lockheed Martin is one of six U.S. companies under NASA contract to build prototypes for NextSTEP. Built using technology from the existing Orion spacecraft, the lander is single-stage and reusable. Chambers says that developing a vehicle that could both land and lift off means "developing one less system," which cuts costs. "We think you shouldn't invent anything new if you don't need to," Chambers said. Chambers says his team plans to use cryogenic hydrogen as fuel because of the "water-based economy" they anticipate on Mars, where water can power both the orbital base camp and the lander. Lockheed Martin intends to send humans on a mission lasting around three years long: six to nine months traveling to Mars, 12 to 18 months on Mars and six to nine months traveling back to Earth. "We designed a lander that can fuel in orbit, that has enough room to support a crew of four people for two weeks and then take off again," Chambers said. This method means Lockheed Martin could provide NASA with the capability of flying three surface trips in one Mars mission. More importantly, Chambers says NASA could send a crew on the very first mission, as testing the lander unmanned would only require using one of three opportunities. 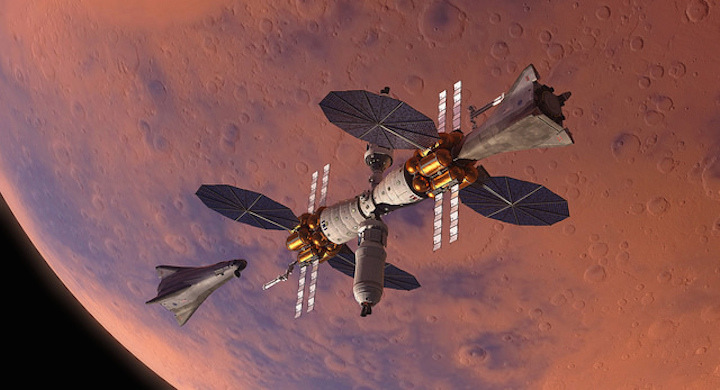 Lockheed Martin's Mars Base Camp Orbiter habitat with two landers. 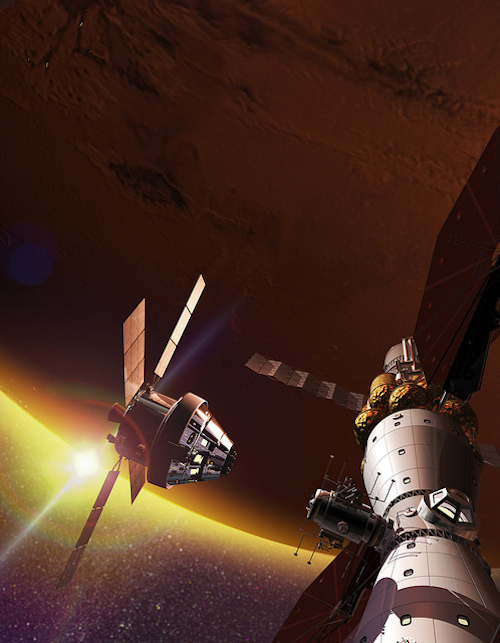 Entry into the Martian atmosphere is a separate hurdle for Chambers' team. 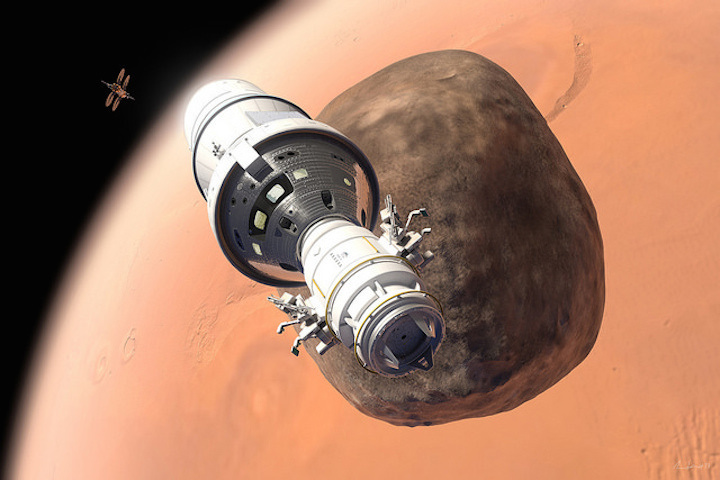 Lockheed Martin's lander would utilize "aero braking," Chambers says. He said the SR-71 Blackbird — the company's famed supersonic spyplane — provided lessons about the atmospheric heat loads different materials can endure when it flew for hours and hours under extreme pressure. "We're looking at how we solved problems 50 years ago with the SR-71 and learning how we can apply those now," Chambers added. While it is unclear whether NASA's Deep Space Gateway mission will include landing on the moon, Lockheed Martin said its lander would also be capable of a lunar mission if required. The first deep space habitat for NextSTEP is being built at Kennedy Space Center in Florida, using a retrofitted cargo module from the International Space Station. The other five companies NASA selected to develop deep space habitats are Boeing; Bigelow Aerospace; Orbital ATK, now owned by Northrop Grumman; Sierra Nevada Space Systems, and NanoRacks. 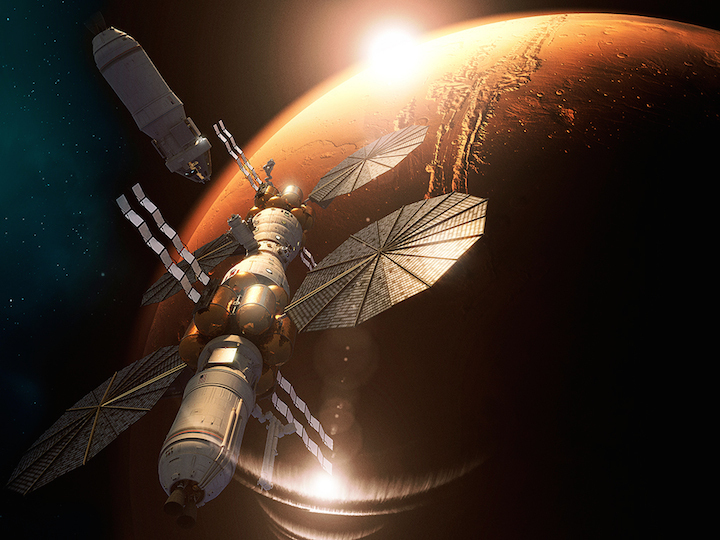 Lockheed Martin's Mars Base Camp concept shows how to send humanity to Mars in about a decade. 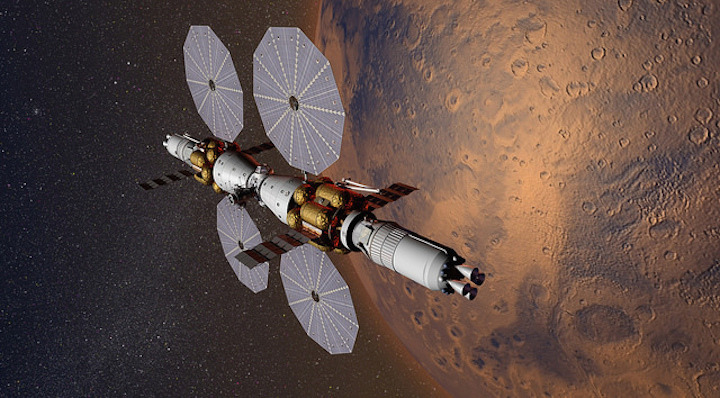 DENVER, Today, at the International Astronautical Congress (IAC) in Adelaide, Australia, Lockheed Martin (NYSE: LMT) experts are revealing new details of its Mars Base Camp concept including how it aligns with NASA's lunar Deep Space Gateway and a Mars surface lander. 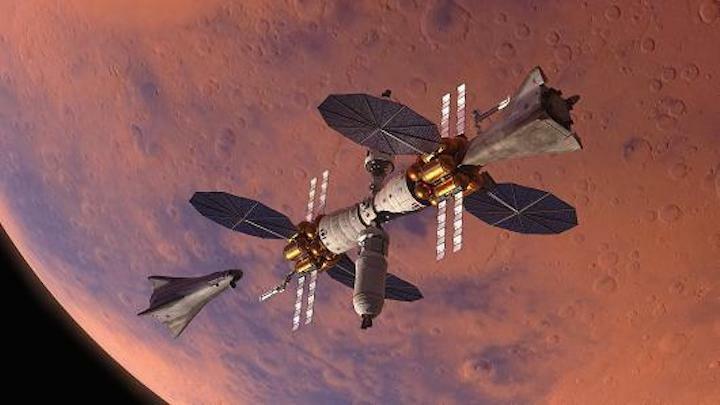 Mars Base Camp is a vision of how to send humans to Mars in about a decade. 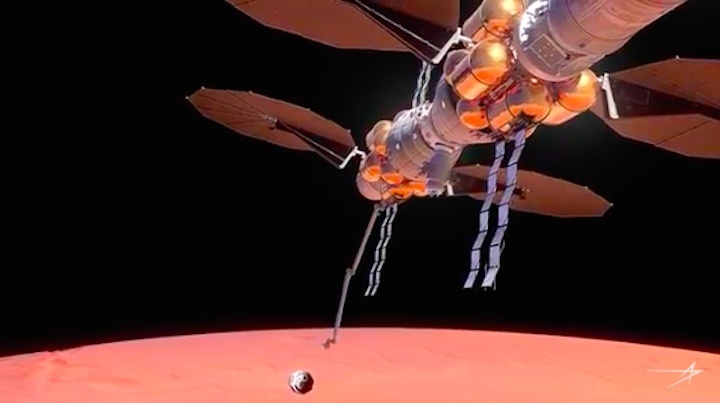 It's a sound, safe and compelling mission architecture centered around an orbital outpost where scientist-astronauts can perform unprecedented, real-time scientific exploration of the Red Planet. "Sending humans to Mars has always been a part of science fiction, but today we have the capability to make it a reality," said Lisa Callahan, vice president and general manager of Commercial Civil Space at Lockheed Martin. 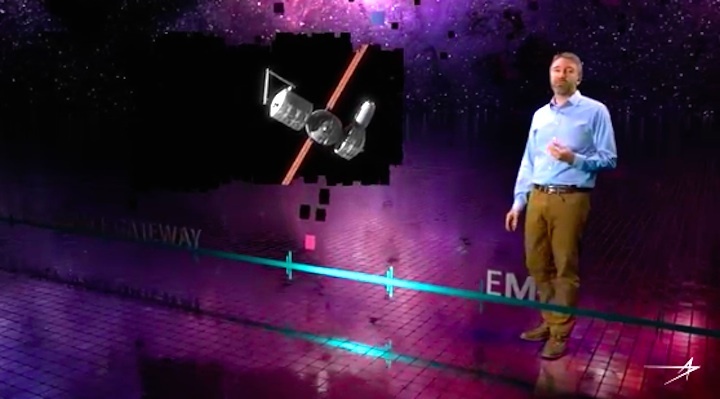 "Partnered with NASA, our vision leverages hardware currently in development and production. We're proud to have Orion powered-on and completing testing in preparation for its Exploration Mission-1 flight and eventually its journey to Mars." 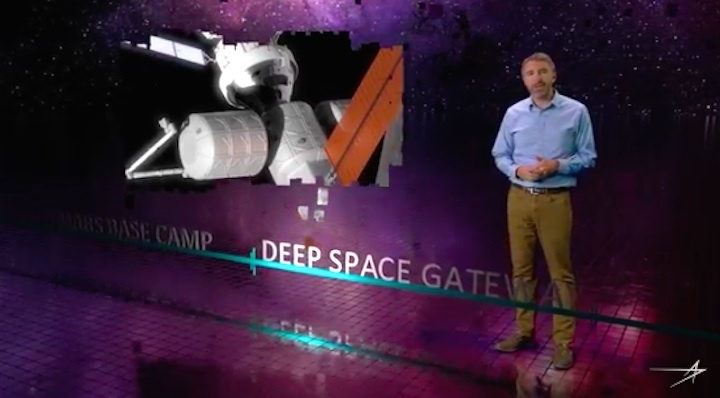 Mars Base Camp is aligned with NASA's recently-announced lunar Deep Space Gateway approach for developing and testing systems, including Orion, in cis-lunar space before using them to go to Mars. The Gateway allows astronauts to live and work in orbit around the Moon for months at a time while gaining experience with extended operations far from Earth. On the Gateway, they can perform lunar science and test out systems and operations such as habitats, airlocks, solar electric propulsion, surface telerobotics and even landers. 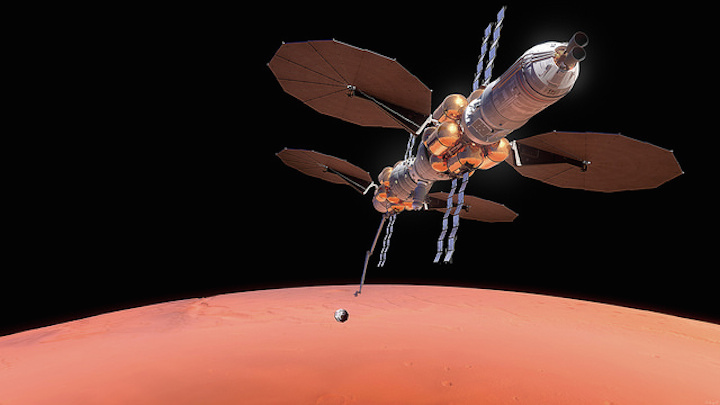 Mars Base Camp would ultimately be built up at the Deep Space Gateway, away from Earth's gravity, before being deployed to Mars. 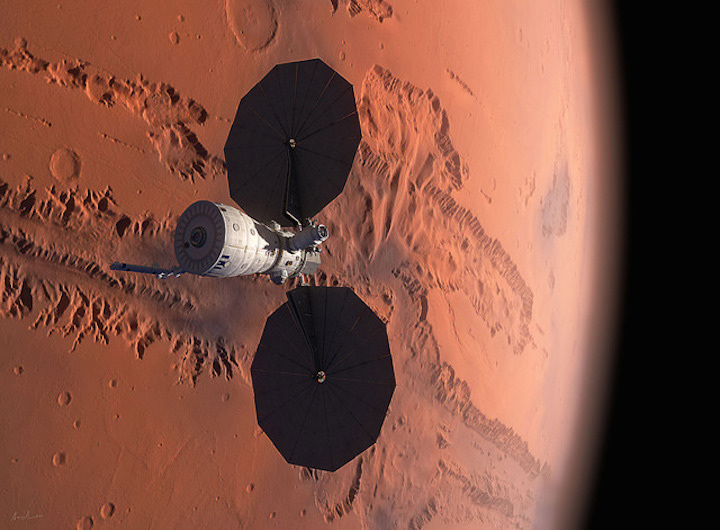 Mars Base Camp's first mission is intended to be an orbiting mission around the Red Planet. Following this, the architecture allows for a surface lander. 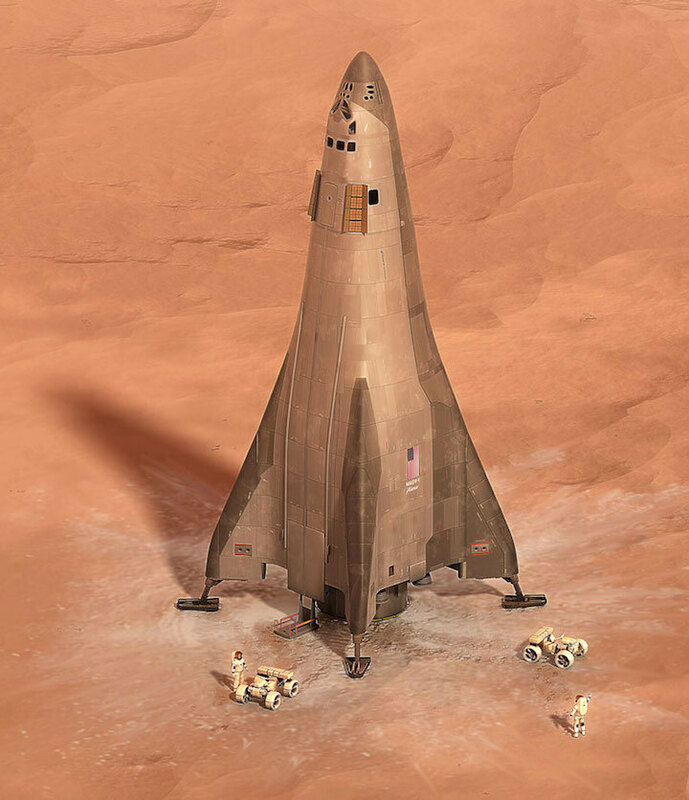 The concept is designed to be a reusable, single-stage lander capable of descending to the surface from Mars orbit. Each surface mission could last two weeks with up to four astronauts, and then return to the orbiting Mars Base Camp where it would be refueled and readied for another mission. Presented at the 68th International Aeronautical Congress, Lockheed Martin’s team of explorers unveiled new details on their plans for human exploration of Mars starting in the 2020s. We are explorers – and the time is now. Never before in history have we had the technology and global interest to move human exploration out to the Moon and Mars. 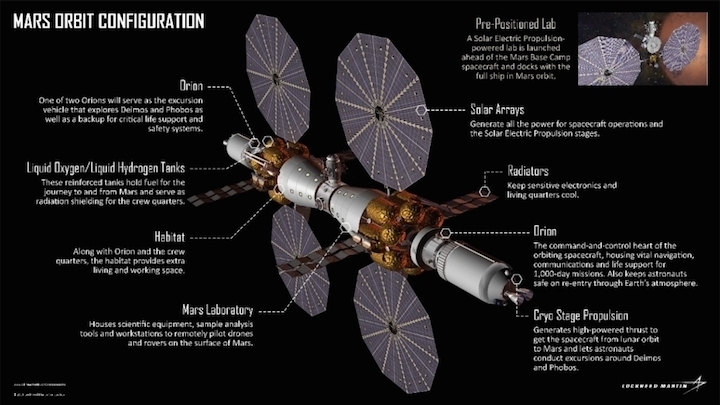 Lockheed Martin’s blueprint for exploration includes Mars Base Camp, a detailed orbital mission reference architecture for the start of Martian system exploration. By relying on existing technologies and available systems, this mission could be fielded as early as the late 2020’s. In this session, Lockheed Martin will show how the recently announced Deep Space Gateway will prove out the technologies needed for the build-up of the Mars Base Camp Deep Space Transport elements, emphasizing the science value, international partnership opportunities, and commercialization paradigms enabled by NASA’s exploration vision. Lockheed Martin will also unveil their highly-anticipated lander – a reusable, single stage aero-spacecraft based on already-flown vehicles which can revolutionize our thinking about Mars surface access, while enabling a water-based economy in cis-lunar space and enabling a commercial lunar surface infrastructure within the next decade.